The first NBA Live 15 screenshot is now out. It features 6 superstars from different teams around the NBA. 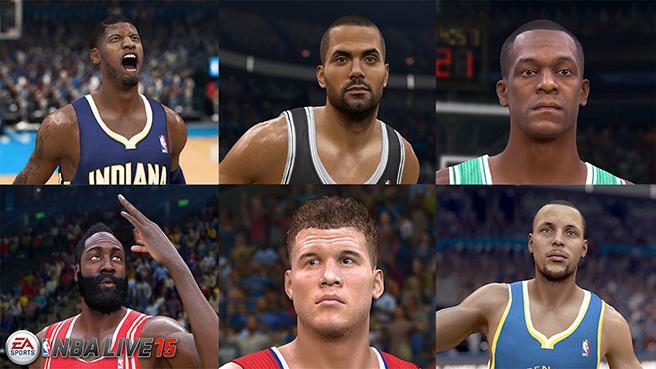 The screenshot above shows off Paul George, Tony Parker, Rajon Rondo, Jame Harden, Blake Griffin, and Seth Curry. You can read some of the first NBA Live 15 news directly from EA Sports on their website.